Something messed up the token/token art system as a whole pretty bad. I'm not sure what caused it but I remember for sure the Godsire tokens being correct not that long ago from playing momir basic a decent amount, maybe as far back as HOD if not more recently (which is likely). For now, I'm sticking with my theory that FTV: Transform release potentially cause the issue. 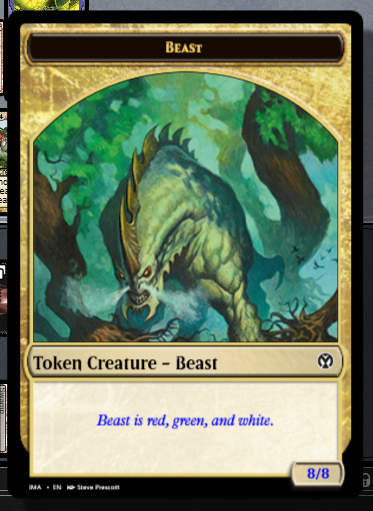 Yeah, token art is all over the place. Flip Garruk's deathtouch wolf tokens are [Sound the Call] tokens.